le Gouvernement Néo-zélandais a rejeté la livraison des OPV OTAGO et WELLINGTON. Ces navires seraient trop lourd de 100 tonnes et incapables de naviguer en Antartique. Ces navires construit en Australie font l'objet d'une médiation entre le chantier constructeur et Wellington . Combien devaient être construits ? Juste deux, il me semble! J'avais cru lire 1100 tonnes... C'est seulement de 100 tonnes ? NEW Zealand is claiming two Australian-built frigates are unseaworthy and refusing to accept the vessels, leaving them in limbo at the Williamstown docks. Revelations about the dispute are embarrassing for Canberra, which has just announced a multibillion-dollar investment in naval shipbuilding as the centrepiece of a new defence white paper. 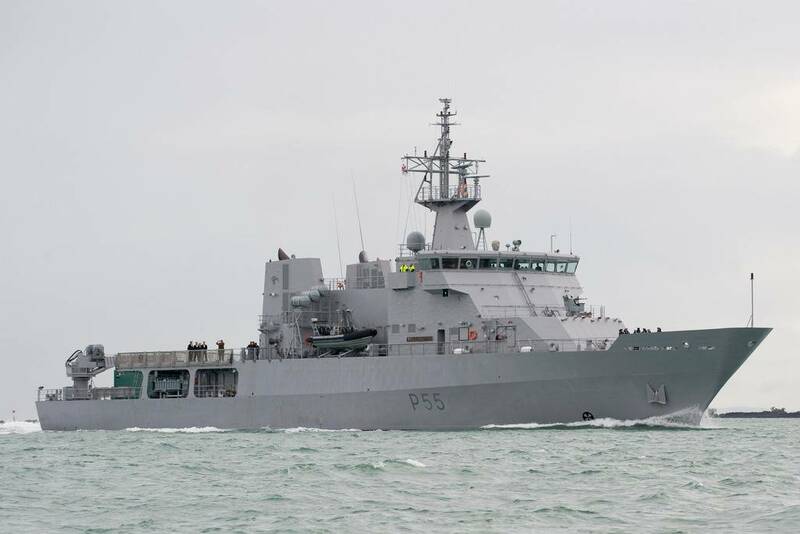 Shortcomings in the construction of the Otago and Wellington patrol vessels have also disrupted New Zealand's naval expansion, with its Defence Minister, Wayne Mapp, describing the project as "a mess". Defence contractor BAE Systems, which inherited the deal to build the vessels after taking over defence builder Tenix last year, has confirmed to The Sunday Age that two patrol vessels ordered by New Zealand in 2004 have been rejected, and both parties are now locked in mediation. The New Zealand Government is claiming that the vessels, each worth about $70 million, would be about 100 tonnes overweight and unable to sail in Antarctic waters, with insufficient allowance for extra equipment to be added. "(The two vessels) are the subject of mediation between ourselves and the New Zealand Government," a BAE spokesman said. "There are a range of issues that are yet to be settled before the customer will accept those vessels. We need to be comfortable that we are prepared to enter into an arrangement with them." "So we are basically in negotiations and that's ongoing, but at this stage those vessels have not yet entered service." Dr Mapp, who travelled to Melbourne in February for talks with BAE Systems, has described the project in the New Zealand media as "a mess which we are working hard to clean up". The vessels were among seven ordered as part of New Zealand's $400 million "Project Protector", all of which had been due at the end of 2007. Of the seven vessels that had originally been ordered from Tenix, only one, the multi-role HMNZS Canterbury, is now in service, with four small patrol vessels due to become operational within weeks. But even the Canterbury has been plagued by problems, with design flaws reportedly restricting operations. The New Zealand Navy has also been reported as saying the Gemini rigid-hulled inflatable boats that were to be supplied with all the ships do not meet requirements and is demanding Zodiacs instead. The Otago and the Wellington were given sea trials last year, and the ships were said to be ready for delivery, but last November their crews of 70 were sent home while "contractual issues" were negotiated. The BAE Systems spokesman said it remained unclear when the vessels would be delivered, because the dispute had yet to be resolved. The biggest concern remains the weight of the ships. An ice protection belt, installed so the ships can be used in the Ross Sea, would sit below the waterline when extra weight was added for operational equipment and repairs. It was critical that the ice belt sat on the waterline, especially as a build-up of ice on the ships would add extra weight, a Defence Ministry official said. OTAGO can embark the KAMAN SH-2G (NZ) Seasprite helicopter onboard, armed with torpedoes, depth charges and Maverick missiles. OTAGO will be able to operate throughout New Zealand’s 200 mile Exclusive Economic Zone (EEZ), the Southern Ocean and the South Pacific. She will carry out a range of roles including patrolling, surveillance, search and rescue, humanitarian assistance, disaster relief, support to peacekeeping operations and sea training for the Navy. 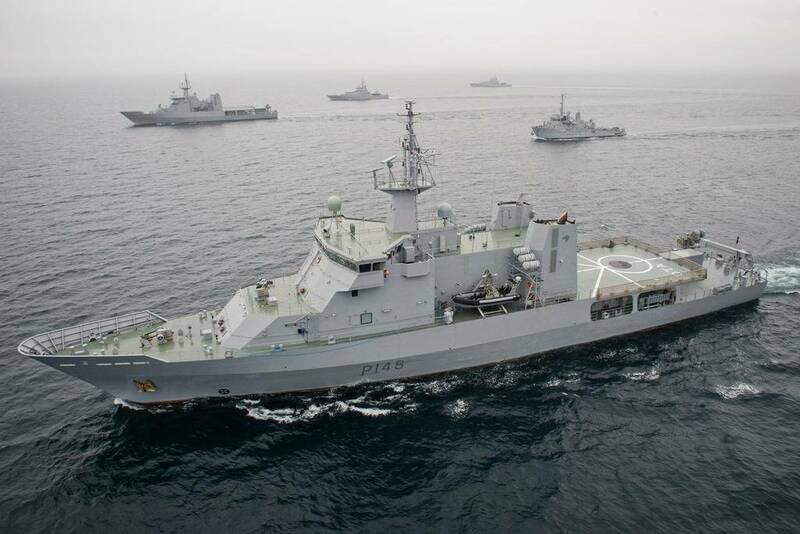 OTAGO will conduct maritime patrols in conjunction with the P-3 Orion maritime patrol aircraft in the New Zealand EEZ, Southern Ocean and South Pacific. The surveillance tasks are primarily non-military in support of civilian agencies and involve specialist staff from government agencies such as NZ Customs and Ministry of Fisheries. Clipper !!! au pied et explique moi comment c'est possible !!!! De ce que je lis, il y a plusieurs problèmes, le plus important étant celui du poids. 100 tonnes d'augmentation font un surpoids de 6,25 %, ce qui n'est pas si extraordinaire que ça. C'est toute la difficulté du projet naval, celui du devis de poids. On a vite fait d'"oublier" des choses ou de se montrer très optimiste pour parvenir à tenir les specs. pour les 100 tonnes de surcharges, c'est a voir sous quelles considerations ? soutes pleine ou vide ? et repartition ? au dessus ou dessous la flottaison ? en revanche, le probleme de protection contre la glace est plus delicat, c'est un truc qui se fait au moment de la conception a savoir l'echantillonage des toles, le cloisonnage... ca ne se fait pas en derniere minute quand le navire est finis. faudrat qu'ont m'explique la quand meme la chose !!! bon.... ca ne fais pas avancer les choses !!! Ces remarques me paraissent frappées au coin du bon sens ! Bon sens, qui plus est, soutenu par une expertise professionnelle reconnue ! Nous percevons là le fruit d'une expérience (mal) vécue ! Mais analysée avec pertinence ! C'est beau et très méritoire de déterrer une discussion de ...2009/2010 ! Sinon... Ouf, nous sommes rassurés, car c'est arrangé avec la Marine néo-zélandaises, qui a, depuis lors, commissionné les deux bâtiments. "HMNZS Otago made her first visit to her home port of Port Chalmers on 22 July 2010. On her maiden voyage Otago encountered trouble when sea water contaminated her bunker fuel. She suffered further technical difficulties in December 2010 during a visit to Campbell Island with her engineers having to make temporary repairs to both engines prior to an early return to Devonport Naval Base for repairs. Governor-General Sir Anand Satyanand and cabinet minister Kate Wilkinson who were on board at the time were transferred to HMNZS Wellington to continue their tour. Lieutenant-Commander Robert McCaw assumed command of the vessel on 12 September 2012. Since then she has served on lengthy patrols of the Antarctic, though a planned mission to monitor fisheries in the Southern Ocean had to be cancelled because the vessel lacked the capability to operate in that level of ice cover. Her duties have included fisheries protection, conservation and transportation of scientific staff. The scientists carried by Otago discovered 90 new species of seaweed on a single Sub-Antarctic island. The vessel has also conducted two search and rescue operations." "On January 14, 2015, HMNZS Wellington intercepted two fishing vessels, the YongDing and the Songhua, who were allegedly fishing illegally in Antarctic waters. The fishing vessels refused to be boarded and poor weather and sea conditions prevented the Wellington from forcing the issue." » "L’Astrolabe" et "La Boussole"